My Sunday Photo: 13 August 2017 | Phil – Refuelled! Back to the Ecclesbourne Valley Railway again this week, for the Diesel weekend! 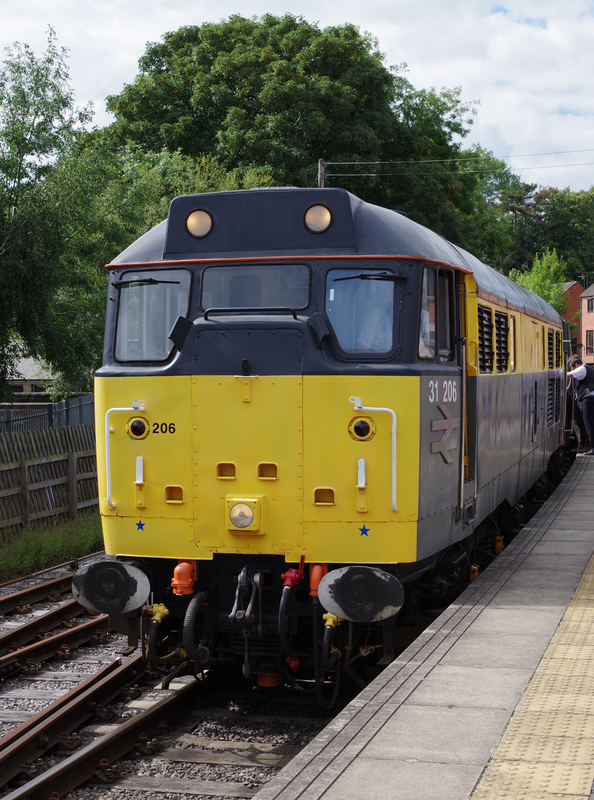 Here, the Class 31 31206 prepares to ‘run round’ the train to be coupled to the other end, ready for the return journey from Duffield to Wirksworth. I remember trains like these! Love the proper British Rail symbol on the side. My son is a huge train spotter, he would love this!